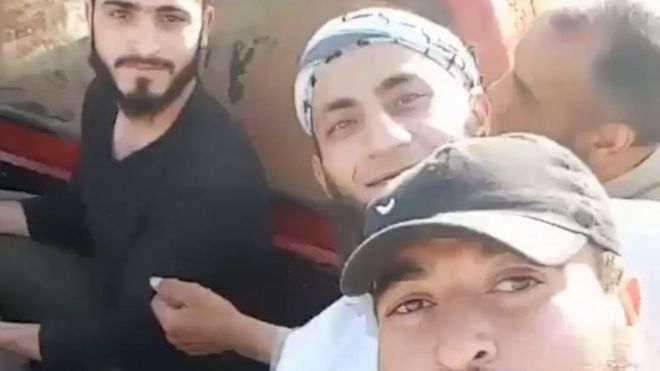 A video of Syrian rebels beheading a young boy has been circulating on social media since Tuesday. In the video, the rebels threaten terror. One yells, “We will leave no one alive in Handarat!” as they proceed to slit the boy’s throat with a knife. They claim the 12-year-old fought for a pro-Assad Palestinian militia. Liwa al-Quds (Jerusalem Brigade), a Palestinian Syrian pro-government militia, claims the boy was not a fighter. The victim’s sister, however, posted on Facebook that her brother was Syrian-born and returned to "fight and defend his country." Nurredin Zinki, a rebel group, has been implicated for this killing. The group has staunchly denied these allegations, labeling this action as a "violation” of their group policy. They further stated that, "the persons who carried out this violation were arrested and handed over" to a judicial committee for investigation.